Court Rejects Claim Of Métis Harvesting Rights, Fines Man $40,000. 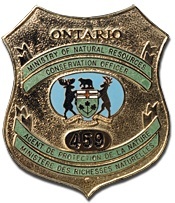 A Searchmont man has been fined a total of $40,000 for harvesting Crown forest resources without a licence and violating stop work orders. Michel Blais was convicted of harvesting Crown forest resources without a licence in 2007, 2008 and 2009. He also violated two stop work orders. The court heard that an investigation was conducted by Ministry of Natural Resources staff after a call from a member of the public. During the investigation, it was discovered that Blais harvested wood from Crown land in Gaudette and Hodgins townships northeast of Sault Ste. Marie and sold the wood to buyers in Canada and the United States. During court proceedings, Blais claimed he had an aboriginal right to harvest and sell timber from Crown land, based on his membership in the local Sault Ste. Marie Métis community. The court rejected that claim, finding that Blais did not meet the test established by the Supreme Court of Canada in its ruling on the case R. v. Powley that must be satisfied for a Métis claimant to prove harvesting rights. The court found that Blais could not demonstrate an ancestral connection to the Sault Ste. Marie community, and that he did not produce any evidence suggesting that commercial logging was a tradition or practice of the community. Justice of the Peace James Bubba heard the case in the Ontario Court of Justice, Sault Ste. Marie, on May 2, 2013. ← $2,000 Fine For Possession Of Snakehead Fish.